Notes: Flitwick Castle was an 11th-century castle located in the town of Flitwick, in the county of Bedfordshire, England. It was a small, timber Motte-and-bailey castle, surrounded by a moat. The castle was mentioned in the Domesday Book, in 1086, as being under the ownership of William Lovet, a Norman. Lovet had displaced Alwin, who had been the Saxon owner of Flitwick prior to the Norman Invasion. 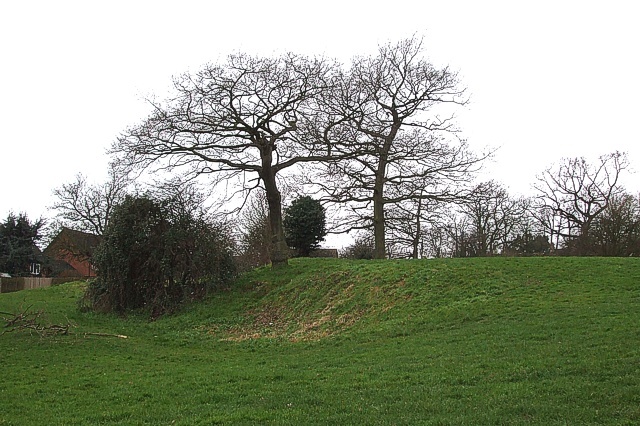 The earthwork remains of the castle are on what is now a public green space known as Temple Field or Mount Hill. The ditches have been filled in and the mound is now about 7 metres high. The name Temple Field takes its name from the nearby church. The site is a Scheduled Monument.